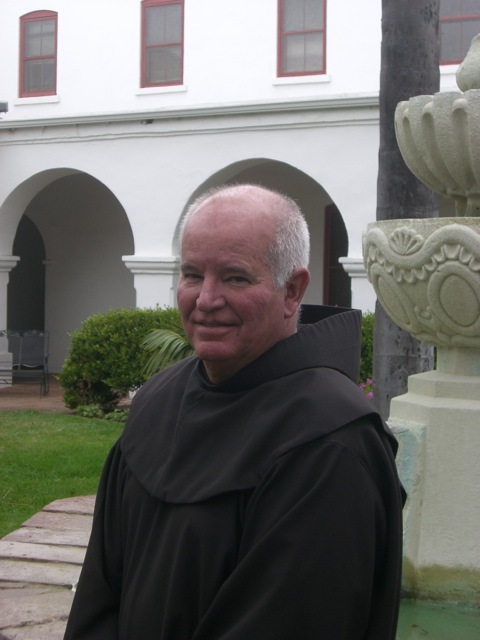 Thank you for supporting Franciscan life and ministry in the Province of St. Barbara with your gift of $2,303.33. it gives me great joy to know that you are joining yourself to our mission through your faithful support, even during these difficult days of our Church. I will pray for your happiness. I hope you will pray for ours. Thank you for being part of the Franciscan family, for supporting our ministries. "Yesterday we watched with profound grief and shock as the jewel of Paris, Notre Dame Cathedral, was being consumed in flames. We give thanks to God that no lives were injured, for the firefighters who risked their lives to save the Cathedral from total destruction, for those who have already made generous commitments to the cause of rebuilding, and for the young Catholics who knelt to pray and sing to Mary together in the face of this tragedy. "Paris’ mother church of Our Lady is a powerful symbol of spiritual and national unity of the people of France and of Western Civilization as a whole, a sacred space which lifts the soul to God. This is, then, a painful tragedy for the entire world, as witnessed to by the global outpouring of grief in response to yesterday’s catastrophe. "Indeed, in the midst of our shock and sadness we should not overlook the fact that we were joined together in a special way, mourning a great House of God, an object of sacred beauty, which has literally stood the test of time. We mourn together. "How did this burning building move so many? Sacred beauty has a power. It moves us because Beauty is not just a frill or a decoration, it is, along with Truth and Goodness, one of the three faces of God. Standing before the Rose Window, looking up at the awesome Gothic ceilings, praying with people around the world, we are reminded that, as human beings created in God’s image, we do not live by bread alone. Notre Dame Cathedral calls out to us to remember that we have souls. It reminds us that God has given us the capacity to create sacred beauty that has lasting value, which points us beyond this world alone. "As we approach the commemoration of Our Lord’s saving Passion, death and Resurrection in the Easter Triduum services, I encourage all of us in our Archdiocese to keep France and her children in our prayers, along with the intention that Notre Dame will soon rise from the ashes to once again give glory to God and honor to the Mother of His Son." You heard Fr. Vince talk about the campaign, now find out more with his special letter to the parish community about our Capital Campaign: "St. Francis Hall, a Space Renewed." I hope they will rebuild Notre Dame. I am crying my eyes out. The choir’s voices sound so beautiful.